Today I have the pleasure of introducing Lisa Boyle of MyPublicRelationsMentor.com (and Inform Marketing and Public Relations). Mum to three girls (aged 7, 5 and 1), I first met Lisa when she came along to a Professional Parents event last year. It became clear very quickly that many of us who attend PP events are keen to learn how to obtain free media coverage for our business…and being Lisa’s area of expertise I have asked her to be the guest speaker on 7th February for our North Brisbane Business Brainstorming session. I started Inform, my full-service marketing and public relations consultancy, in 2005 and planning MyPublicRelationsMentor.com since 2009 – launching the website in 2011. I wanted a better way to balance my family life (that is, raising children) with working at what I’m passionate about – marketing and public relations. Life before children was all about my corporate job, professional development, inner-city living, going out a lot with friends, visiting family, and travel. I gained a Bachelor of Business, with a major in Marketing (and Public Relations) from QUT. Life after children is now all about children, family, running my business, living in the suburbs, going to kids activities, and much more time with family. I found the degree was useful in setting up my own business. Approximately how many hours do you work each week? This varies depending on workload, but generally I like to keep it to 21 hours per week. Plan how you use your time as much as you can – that is, when you work, play with children, manage your house, etc. Be flexible. What is one of your favourite services that your business offers? My favourite service is identifying marketing and PR opportunities for other businesses. How much I love my children and how much fun we have together. The amount of work I have got through word of mouth. What is one of your greatest wishes for your children? That they are healthy and happy. To earn a reasonable income from helping others to promote their businesses and achieve success. Creating the website for MyPublicRelationsMentor.com which is the online arm of my consulting business Inform Marketing and Public Relations. Achieving the balance between family and work. Any advise to others in business? Stay focused, plan it, do it. It’s hard to pin-point one favourite, but in the past few days I have just started following SuziDafnis on twitter and I’m really enjoying her tweets (which usually link to an article on her website). Is your partner supportive of your business? Yes, my husband and partner are supportive of my business, although when I have a big project on and my kids see all the publicity and marketing collateral of my clients they start to complain that ‘it’s everywhere’. Some favourite Professional Parents businesses? 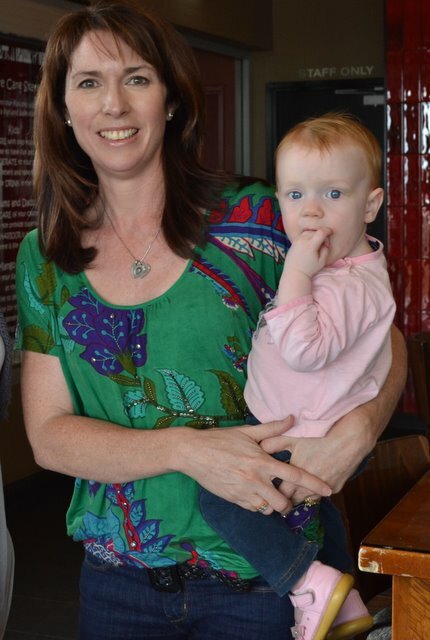 My favourite PP businesses are Professional Parents itself, Be a fun mum and Brisbane Kids. My office looks out over my backyard and I can hear the birds chirping, but it really needs to be tidied up. The freedom, flexibility and intellectual stimulation. I think a big myth about being a working parent in business is that it is easy (or maybe I was the only one thinking that).